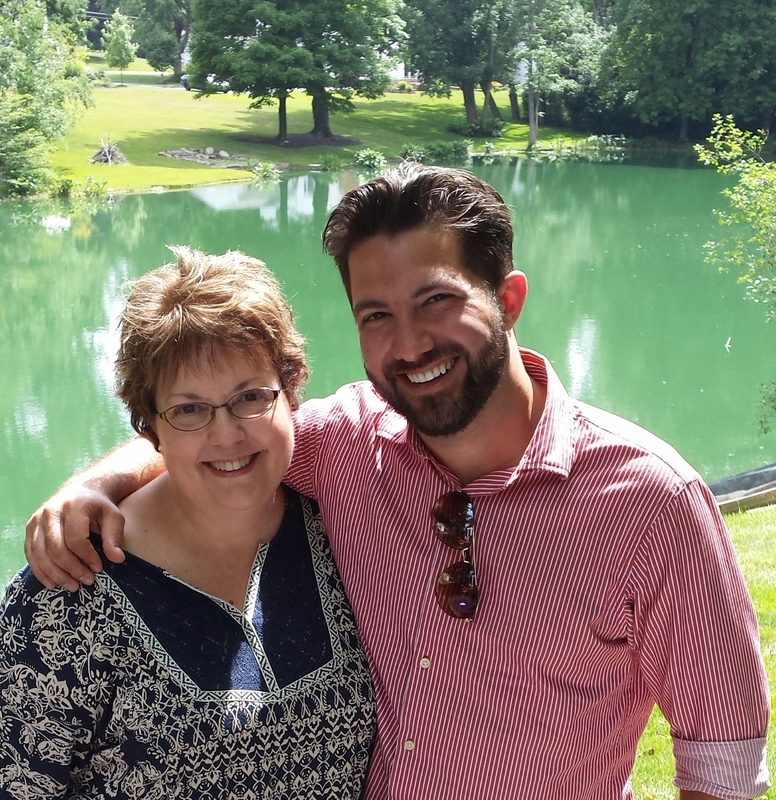 I just finished a delightful four weeks with my son, Chris. He is currently working on his PhD at Queensland University of Technology in Brisbane, Australia, and was here on break between semesters. It was hard driving him to the airport yesterday, knowing it will be another year before he comes back home. 1. Is because Chris lives there. And to see the City Botanic Gardens, Brisbane’s oldest park, originally planted by convicts in 1825 with food crops to feed the prison colony. 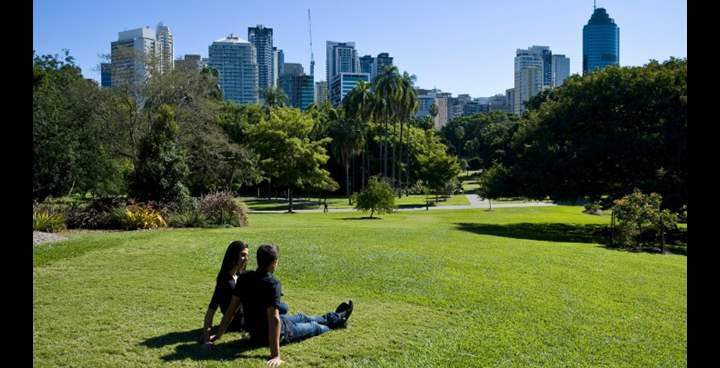 The garden includes ancient trees, rainforest glades and exotic species, and runs the full length of Alice St, bordered by Parliament House on one side and the Brisbane River’s northern banks on the other. 2. Is because Chris lives there. And to stroll down Adelaide Street to check out the stylish stores and popular eateries. 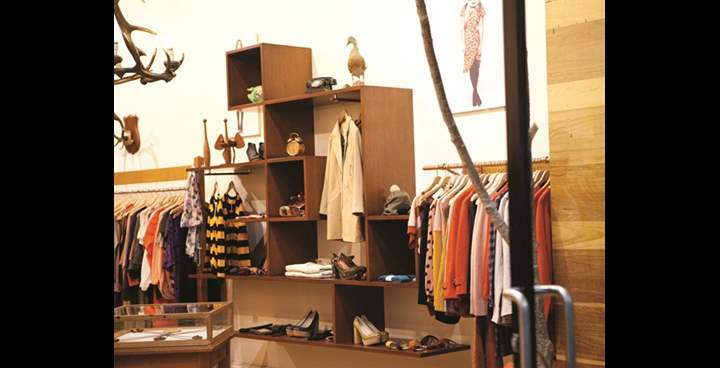 It’s one of the city’s hot spots for lovers of fashion and food. 3. Is because Chris lives there. 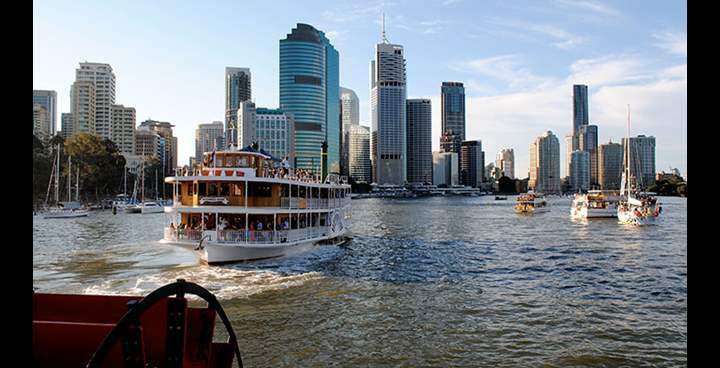 And to take a lunch or dinner cruise on one of the Kookaburra River Queens, authentic timber paddle wheelers that meander along the Brisbane River. 4. Is because Chris lives there. And to visit the famous Australia Zoo located on Queensland’s beautiful Sunshine Coast just 45 minutes north of Brisbane on Steve Irwin Way. It is the home of some of Australia’s most unique and amazing wildlife, as well as some remarkable animals from overseas. You can even hug a koala. 5. Is because Chris lives there. 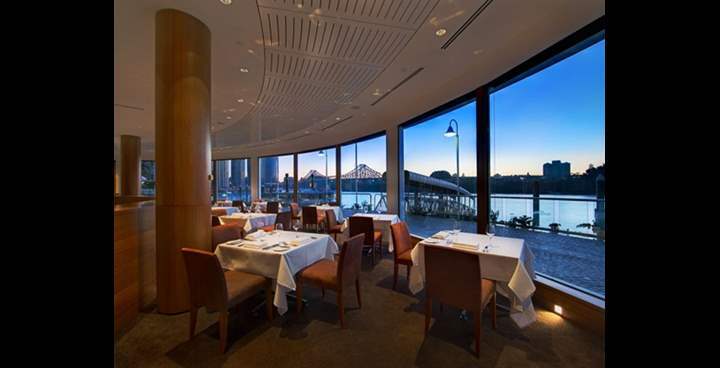 And to go to the Eagle Street Pier, which is home to some of Brisbane’s finest restaurants and offers unrivalled views of the Brisbane River. 6. Is because Chris lives there. And go to Glass House Mountains National Park – a heritage-listed national park 70 km north of Brisbane. The flat plain is dotted with hills that are the cores of extinct volcanoes that formed about 26 million years ago. 7. Is because Chris lives there. 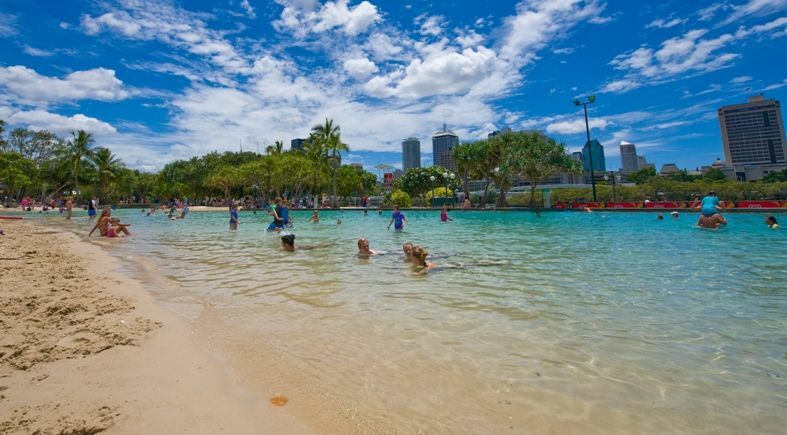 And to see Streets Beach, which is Australia’s only inner-city, man-made beach featuring a sparkling lagoon surrounded by white, sandy beaches and sub-tropical plants. Streets Beach is free to the public and is patrolled by qualified lifeguards all year round. 8. Is because Chris lives there. 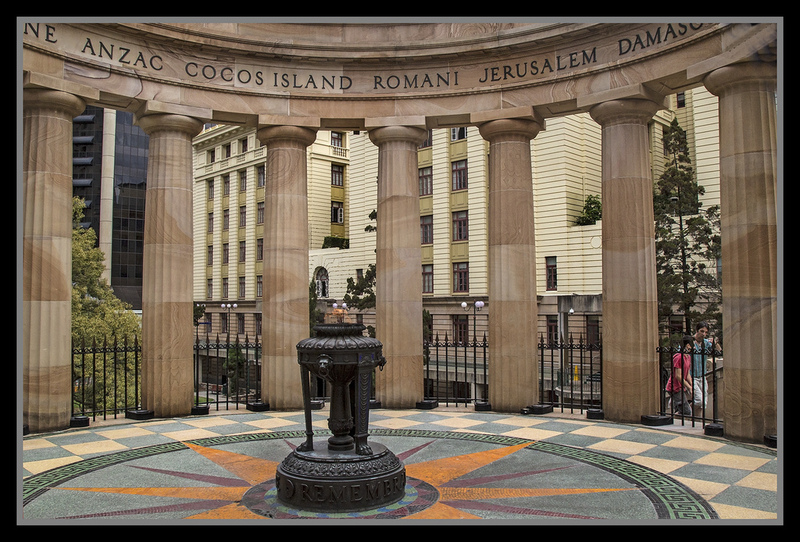 And to visit the ANZAC Square War Memorial and Parkland, dedicated to Australia’s military heritage, featuring the Shrine of Remembrance with Eternal Flame. Also included are war memorials, honor rolls, unit plaques, mosaic and soils from WWII cemeteries. Many thanks to Brisbane’s tourist information site, Australia tourist information, the Australia Zoo website, and the Queensland Government site about its state parks, for the beautiful photos. Here’s one more photo of the most cherished sight in Brisbane: my son Chris. We went to a picnic at the home of Brian and Kate Schultz in Chagrin Falls this past Saturday. I got to spend a picture-perfect afternoon with Chris and some of his old friends and their families. Loved seeing the boys’ little ones and meeting their pretty wives. Safe travels, dear Chris. Love you. This entry was posted in Travel, Uncategorized and tagged Adelaide Street, ANZAC Memorial, Australia, Australia Zoo, Botanical Gardens, Brisbane, Brisbane Botanical Garden, Eagle Street Pier, Glass House Mountains, koala, Kookaburra River Queens, Queensland, Streets Beach. Bookmark the permalink. Thankfully, Chris doesn’t live in Marietta, Ohio or we’d be looking at photos of the new Walmart. Glad you two had fun and sorry I didn’t get to say hi this time. Hope you and the boys aren’t grieving his departure too severely. I love it! Hope you get there sometime soon.